Jatijajar, 11 November 2018. On regular scheduled event in Kampung Inggris Kebumen (KIK), we had closing program for Batch 11 English Training Program this date. There were 115 students from schools around Kebumen namely SMP N 1 Gombong, SMP N 1 Karanganyar, SMP N 1 Puring, SMP N 1 Mirit, SMP N 1 Prembun, SMA N 1 Petanahan, and SMA N 1 Mirit. 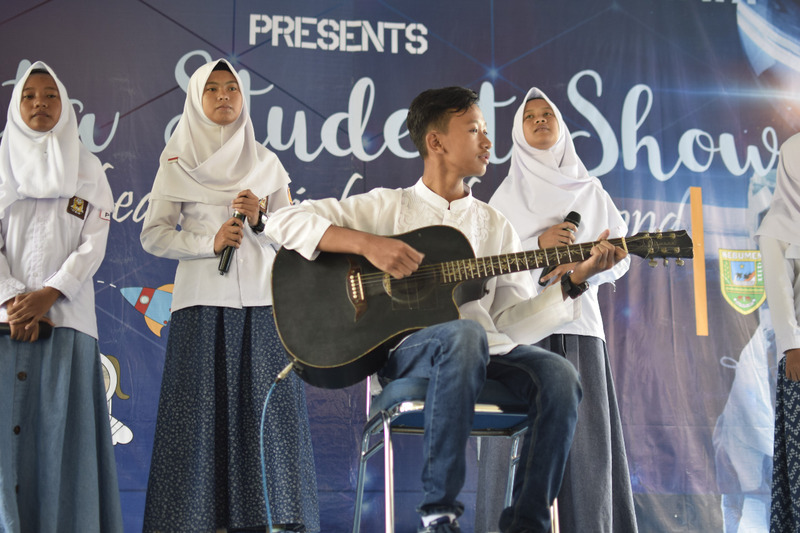 Age was proven to be a “doesn’t matter” factor since both senior and junior high schools students could collaborate well during the performances. After 14 days of intensive training program, they were obliged to perform their English ability on stage. This closing program was the final remarks in every training program. The aim of this event was to give a first-hand experiences performing English on stage. All of the training participants were given the same chance to perform their ability of speaking English. This performance was conducted smoothly by all of the students under the supervision and technical support from KIK’s tutors. Everything will never be easy but preparation decides the final result. The preparation for this performance was only 7 days, 2 hours per day. Most of the student could perform their increasing skill in English speaking. Therefore Dra. Budi Nurhayati as the chairperson of Kampung Inggris Kebumen congratulate the participants for their great efforts. Completely 14 days, all of the participant were away from home learning not only English but also character building such as discipline, obedient, and spiritual-religious activities. Obstacles were not a big concern here, heavy rain and flooded day were happened and nothing could stop them to be successfully finishing this program.